In this series of articles, we have looked at a range of different woodworking machines that all have one thing in common: they all produce wood waste or wood dust of some kind. I have stressed throughout the series the need to take proper precautions to protect against dust hazards, including the use of appropriate personal protection equipment and dust extraction. 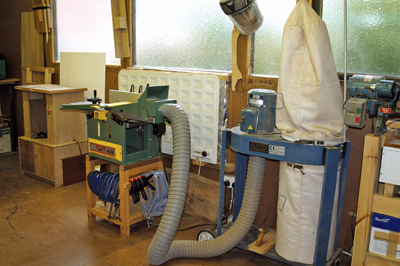 This article explains the types of dust extractor available and how to make best use of them in a small workshop. It is aimed at the amateur since in professional woodworking environments, because of the potential health problems, wood dust is covered by the Control of Substances Hazardous to Health Regulations (COSHH). These set out the legal requirements to protect workers from health risks arising from hazardous substances at work. Under COSHH, employers have a duty to carry out a suitable and sufficient risk assessment and take steps to ensure they prevent or adequately control exposure. Professionals should take advice from the Health and Safety Executive, click here. 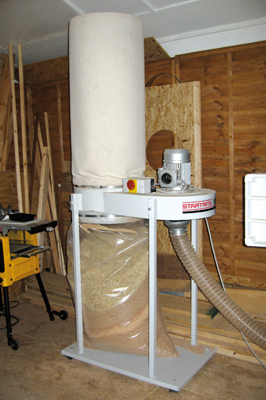 There are basically three types of machine available for the collection and/or filtering of dust in the workshop. 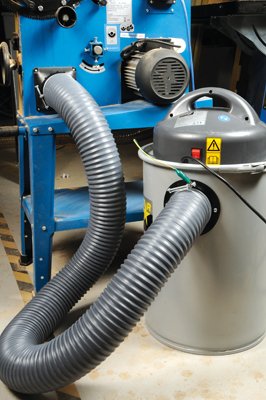 Chip extractors, which move high volumes of air at low pressure and are best for collecting large volumes of chips and dust from machines like planers and thicknessers: vacuum extractors, which work at higher pressure but lower air volumes and are better at collecting and filtering finer dust: and ambient air filters, which remove residual dust from the air in and around the workshop. 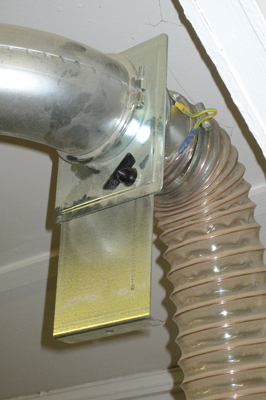 Chip extractors have a centrifugal fan which draws dust through a large diameter - 100mm - inlet pipe, past the fan itself and into a collection bag or bags which may be fitted with filters to collect finer particles. 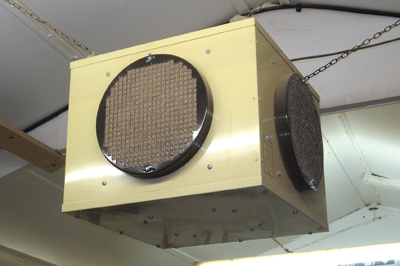 In order not to limit the flow of air, the filters in these machines are usually quite coarse and thus not particularly effective at removing finer dust particles. 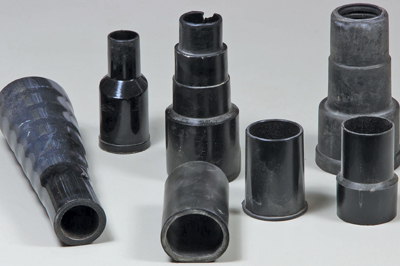 They may be mounted on a wheeled base, so that they can be moved between waste producing machines as required, or wall mounted, in which case they are usually connected to a fixed system of pipes with blast gates regulating the flow from individual machines. They range in size from very small machines suitable for a small shed or garage to large industrial models that are often sited outside the workshop. Chip extractors do not work well with smaller diameter pipework as this restricts the airflow and reduces their effectiveness; they are best used with machines that produce large volumes of chip waste such as planers, thicknessers and spindle moulders. 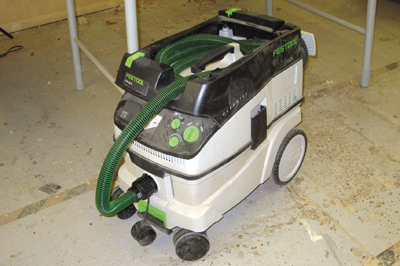 They are not effective at removing the fine dust from saws and sanding machines, nor can they be used effectively with portable power tools because of the need for smaller diameter hoses. These are usually mounted on a base with castors and can be either floor or wall mounted as required. They are fitted with a single collecting bag with limited capacity, so are only suitable for small machines, or will require frequent emptying. These are fitted with two or four bags may still be fitted to a mobile base so they can be moved between machines, but work slightly differently in that chippings fall into the lower bag whilst the lighter dust is collected in the upper bag. They can cope with the waste output from much larger machines. Other than those designed for large industrial installations, are usually of the drum type and small enough to be portable and moved from machine to machine. They may have either 100mm or smaller intake ports. Single or dual motor versions are available to suit the scale of the work required. 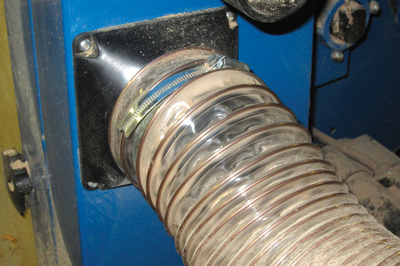 Vacuum extractors are fitted with filters to ensure that fine dust particles are collected; these usually consist of a cartridge filter to remove the finer dust and a paper or cloth outer filter to prevent the fine filter clogging with larger particles. 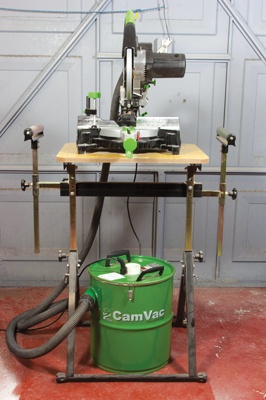 Vacuum extractors may also take the form of versatile workshop vacuum cleaners. 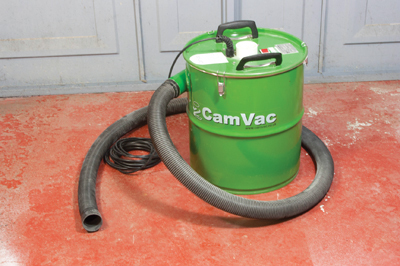 These can be used like domestic machines to clean up the workshop or attached to machinery to collect fine dust or even the chippings from smaller machines. 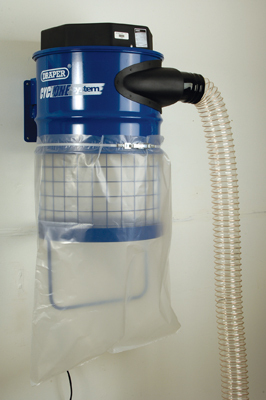 All chip extractors have 100mm intake ports and work best with large diameter hoses so that air flow is not restricted. 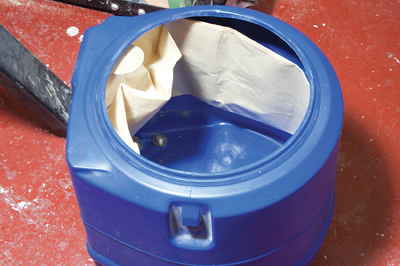 Some machines may be fitted with dust collection bags such as those used in domestic vacuum cleaners rather than using paper filters. 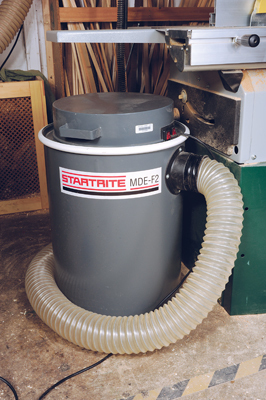 Larger extractors may alternatively be wall mounted, in which case they are often connected to a number of machines by a fixed system of pipework with the extraction from individual machines controlled by blast gates. 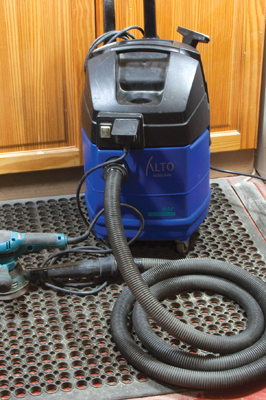 Workshop vacuums or vacuum extractors may be fitted with a power take off so that they start and stop along with the machine or power tool in use. Vacuum extractors may also be fitted to fixed pipework systems of either 100mm or smaller diameter so that a single extractor can serve a number of machines. In my workshop this system of blast gates allows me to direct the extraction between my lathe and bandsaw. You can maximise the effectiveness of your extraction equipment by matching the extraction type to the machinery you are using. 1. Planers, thicknessers and spindle moulders are best connected to a chip extractor which will remove the bulk of the waste. 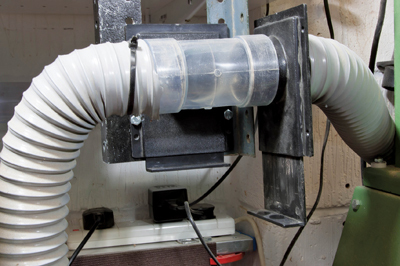 Residual dust can be dealt with by means of an ambient filter and by wearing suitable PPE such as a respirator or mask. 2. Saws of all kinds produce fine dust and should be connected to a vacuum extractor. There is likely to be some dust that is not collected, particularly with mitre saws, so again additional precautions should always be taken. 3. 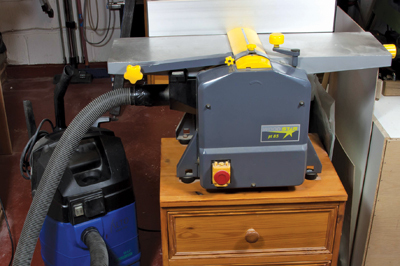 Portable power tools such as sanders, planers and biscuit jointers are best connected to a vacuum extractor with a power take off. 4. 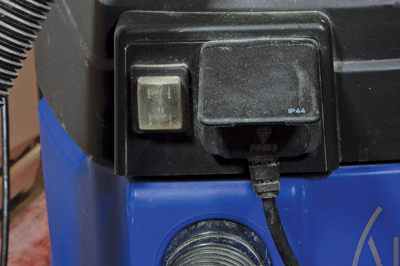 There is no standard size for machine and power tool extraction outlets so you will need a collection of adaptors. 5. In larger workshops, or where a number of machines need to be served, a system of fixed pipework will facilitate effective working. Such systems may need to be earthed to preclude any risk of fine dust particles exploding. 6. Lathes are particularly difficult to extract from. I prefer to collect the chippings afterwards, by sweeping up the majority of shavings and then using the workshop vacuum. 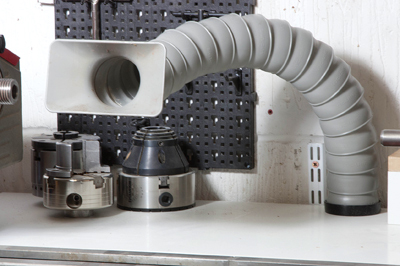 I only use the dust extractor in conjunction with a poseable hose to deal with the fine dust produced. 7. 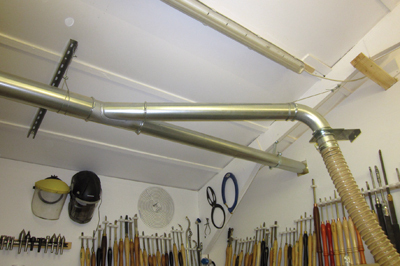 Even in smaller workshops, a system of smaller diameter pipework and blast gates can be installed. I find that mounting the blast gates either horizontally in a downpipe or vertically with the slides opening downwards prevents dust from falling into the slides and causing the gates to jam. 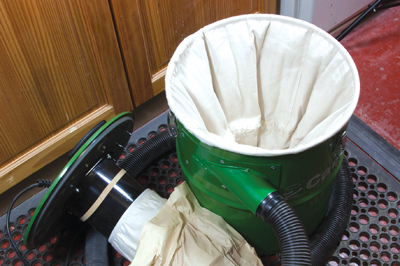 Finally, when emptying extractors, take care to avoid releasing dust back into the workshop and wear suitable respiratory protection, or all your efforts to produce a safe workshop will be wasted.